It’s 2016!! Happy New Year! First of all, Happy New Year everyone! It’s 2016. Another year has passed! Phew! I hope everyone has an amazing, fun-filled New Year! Let’s raise a toast to 2016. 2015 has been a year full of excitement, happiness, sadness and a lot of stress. I got my first ever job in October 2015, and it’s been a great journey so far. Being independent is a whole new experience and an addiction for me, and I’m loving it. 2015 was also very stressful because I was doing so many things. I was doing my final year of Masters in English Literature, resumed my Spanish classes and got a new job. Tackling them all was not easy. I failed to do a good job of managing all three with my blogging and I regret that. But I’m determined to do better in 2016. On the blogging front, I have been a really bad girl. I was late on reviews, I didn’t do regular posts or reviews. Overall my blogging was poor in 2015. That’s another thing I want to do better in 2016. I’d also like to apologize to all the authors who entrusted me with their books, their babies, and I failed. I believed I could do it, but unfortunately I couldn’t. All I can do now is promise to do better. 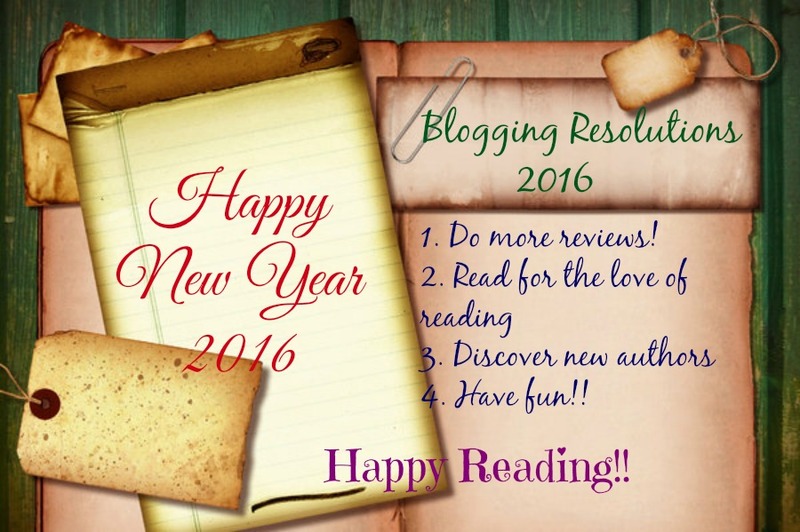 On that note, I wish everyone a very Happy New Year and another great year of Fabulous Reading ahead! Cheers!